To purchase a copy for yourself, visit your local independent bookstore or order directly from the Canadian Scholars’ Press. All proceeds from the sale of this book will be donated to the First Nations Child and Family Caring Society! This book was edited by Margo Greenwood, Sarah de Leeuw, Nicole Marie Lindsay and Charlotte Reading! 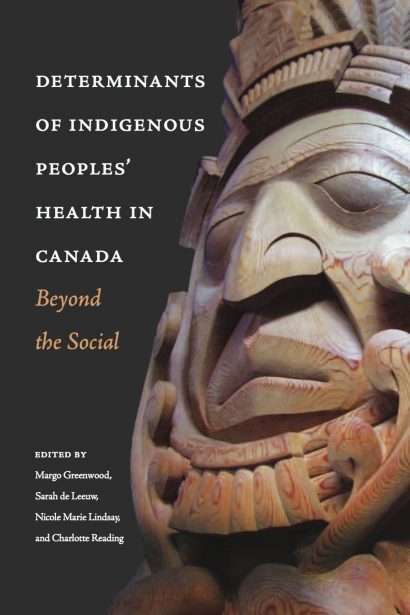 This book offers interesting insight into how the social determinants of health, in addition to the unique histories and realities of Indigenous peoples in Canada, influence the health status of these people. Click here to read the book cover!